The most conflicted and controversial trend in clothing this year is without a doubt, off shoulder tops and dresses. It was brought by the western brands, like many other trends, and then followed by the eastern, and incorporated within some of the most traditional outfits, such as shalwar kameez. Brands such as Khaadi and Sapphire now offer collections in. Why they follow Off-Shoulder trend? The question, however, remains; how well received was the trend by the people of Pakistan? Evolution in fashion and new trends are always welcomed and celebrated with a strong like or dislike towards them. 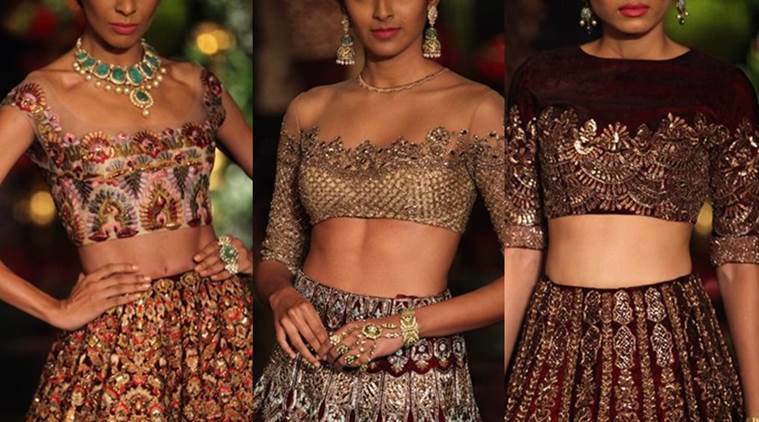 People accustomed themselves with this fusion of western and eastern clothing smoothly and most carry it with grace and pride, and manage to look exquisite in off shoulder tops. Is it affecting the essence of our traditional clothing, and perhaps replacing the modesty it formerly offered? Some would agree. Being a Muslim country, this may affect some people in a negative way, and this trend has been victim to a lot of nation-wide criticism. Some actresses who have adopted this trend have been heavily criticized and some have been idealized. 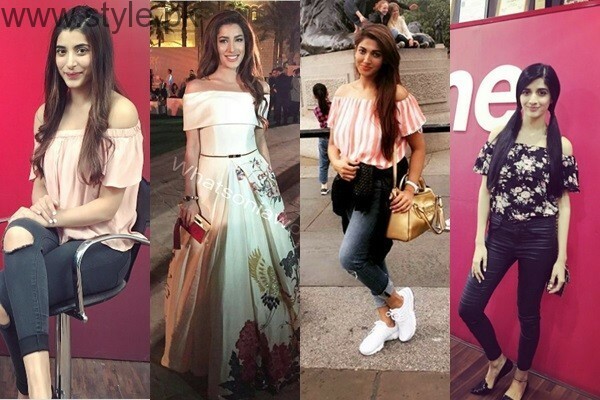 The Hocane sisters have been seen publicly carrying the trend on more than any other. Mehwish Hayat, another public figure in the media and fashion industry has endorsed this style. However, the off shoulder trend has shown us how fast we are moving towards westernization in terms of culture and clothing. Our most adored designers are now incorporating western styles in their work, such as gowns, off shoulder dresses, etc. This does not change the fact that maybe somehow, we are losing the essence and Pakistani touch in our clothing styles that once stood out from all other categories of clothing.